Karel Charvat graduated in theoretical cybernetics. He is a ember of ISPA, RDA, Club of Ossiach, CAGI, and CSITA. He was in period 2005 - 2007 President of European Federation for Information Technology in Agriculture Food and Environment (EFITA). He is currently representatiove of HSRS in OGC Agriculture DWG. He has long time expereince in ICT for Agriculture and Precision Farming. Now he is one from promotors of Open and Big Data in Agriculture in Europe. He has expertise in project management of research project. Participation in projects as project manager and senior researcher: Wirelessinfo, Premathmod, EMIRES, REGEO, Rural Wins, Armonia, a Bard, EPRI Start, Ami@netfood, AMI4For, Voice, Naturnet Redime, Mobildat, SpravaDat, Navlog, c@r, Humboldt, WINSOC, Study for DG AGRI Broadband in Rural Development, Plan4all, Habitats, Plan4business, SmartOpenData, FOODIE, SDI4Apps, AgriXchange, FOODIE, SDI4Apps, OTN, EUXDAT, Polivisu. Currently he is part of project management team of project Data Driven Bioeconomy – DataBio. Dr. Gilbert C. Sigua is a Research Soil Scientist at the United States Department of Agriculture (USDA), Agricultural Research Service (ARS), Center Coastal Plains Soils, Water and Plant Research Center, Florence, South Carolina, USA. He received his undergraduate degree in Soil Science from Central Luzon State University (CLSU), Philippines, Master of Science degree from the University of Arkansas, Fayetteville, Arkansas, USA and his Doctor of Philosophy degree from the Louisiana State University, Baton Rouge, Louisiana, USA. His current research interests include: (1) options to mitigate variations of wind power and solar power, and their complementary effects; (2)interactions between development of meteorology-driven renewables and climate change; and (3) challenges and opportunities for low-carbon electric power systems in both China and the U.S.
Dr.Riccardo was born in Cisternino (Br), Italy, in November 1979. He received the degree in Environmental Science from University of Salento (Lecce) in April 2005, with a thesis on Flow and pollutant dispersion in urban environment with application to Lecce city, and the Ph.D. in Environmental Geophysics from University of Messina, Italy (Consortium of Univerities of Messina, Lecce and Palermo) in March 2009, with a thesis on Computational Fluid Dynamics and integral models applied to pollution dispersion in urban areas. His research interests include Atmospheric Boundary Layer, Experimental and Computational Fluid Dynamics and Turbulence and Pollutant Dispersion. He developed a new methodology for the study of the aerodynamic effects of trees and ventilation (city breathability) through integrated modelling tools including Computational Fluid Dynamics (CFD) and meteorological models. Prof. Shaocai Yu is a professor at North Carolina State University, USA. He is also a prominent member at Scientific and Technological Activities Commission. His research interests include Atmospheric Science, Air Quality Evaluation, Remote Sensing, Climatology and Hydrology. He has made more than 70 publications in reputed Journals. Maulin P. Shah, currently Chief Scientist & Head – Industrial Waste Water Research Lab, Division of Applied and Environmental Microbiology Lab at Enviro Technology Ltd., Ankleshwar, Gujarat, India, received his Ph.D. (2002-2005) in Environmental Microbiology from Sardar Patel University, Vallabh Vidyanagar, Gujarat. He has served as an Assistant Professor at Godhra, Gujarat University in 2001.Maulin P. Shah, currently Chief Scientist & Head – Industrial Waste Water Research Lab, Division of Applied and Environmental Microbiology Lab at Enviro Technology Ltd., Ankleshwar, Gujarat, India, received his Ph.D. (2002-2005) in Environmental Microbiology from Sardar Patel University, Vallabh Vidyanagar, Gujarat. He has served as an Assistant Professor at Godhra, Gujarat University in 2001. 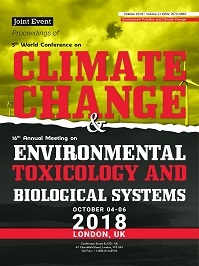 He has more than 160 research publication in highly reputed national and international journals.He is an active Editorial Board Member in 75 highly reputed Journal’s in the field of Environmental & Biological Sciences. ”. He has been appointed as an Editor-in-Chief in two journals viz. 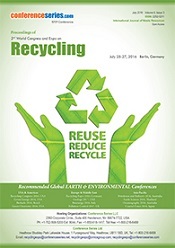 (1) Research Journal of Microbiology & (2) Journal of Biotechnology and Biomaterials. Maulin P. Shah is a Microbial Biotechnologist with diverse research interest. His work has been focused to assess the impact of industrial pollution on microbial diversity of wastewater following cultivation dependant and cultivation independent analysis. His major work involves isolation, screening, identification and Genetic Engineering of high impact of Microbes for the degradation of hazardous materials. Professor (Dr.) Debi Prasad Tripathy is working as Professor in the Department of Mining Engineering at National Institute of Technology, Rourkela since 2008. He worked as Head, Mining Engg. during 2010-2012. He obtained his B.E. (Mining Engg.) from VNIT, Nagpur; M. Tech. from I.T., BHU; and Ph.D. from ISM, Dhanbad. He did PG Dip. in Ecology and Environment (IIEE, New Delhi); Master of Financial Management (Pondicherry) and PG Dip. in Personnel Management and Industrial Relations (Annamalai). He has published more than 170 research and technical papers in reputed International and National Journals/Conferences and authored 6 books. His areas of teaching and research interests are: Noise Pollution, Environmental Impact Assessment and Management, Mine Planning, Financial Management and Computer Applications in Mining Industry. He is an active member of several professional bodies: Chartered Engg. and FIE (I), FUWA, FISRMTT, LISTE, MMGMI and LMEAI. He has visited USA, Australia, Canada, Switzerland, South Africa, Papua New Guinea, Botswana and Singapore on various academic assignments. He has undertaken MOEF sponsored International Training EMCBTA Project: World Bank at UNSW, Sydney in 2004 and Disposal and Management of Coal Combustion Residues at SIUC, Carbondale, IL, USA. Associate Professor Daud Hassan joined the University of Western Sydney in 2009 with considerable teaching, research and community service experience. Daud taught at five different universities in Australia and Overseas, including University of Technology Sydney and Victoria University, Melbourne. Daud holds a PhD in the Law of the Sea. He has built up a formidable international reputation in the field of ocean governance. The international stature of Daud's work has been recognised by Visiting Professorships at various universities in Asia and Europe. His research work addresses global and regional environmental issues that are of international significance. . His research spans many countries and jurisdictions including Australia, Bangladesh, China, Finland, Hong Kong, Japan, Norway and Switzerland.At present Daud is the Director of International Centre for Ocean Governance (ICOG). He is a member of the Specialist Group on Oceans, Coasts and Coral Reefs for the IUCN and a member of the International Law and Sea Level Rise Committee for the International Law Association (ILA), Global Branch. International and Comparative Environmental Law, Law of the Sea, Climate Change and International Human Rights Law. Dr Ali Cheshmehzangi is an Assistant Professor in Architecture and is the Careers and Industrial Engagement Tutor at the Department of Architecture and Built Environment at The University of Nottingham Ningbo China (UNNC). He is also associate research members of the Centre for Sustainable Energy Technologies (CSET) at UNNC and University of Nottingham’s Urban Design Research Group (UDRG). He is an architect and urban designer with research interests in the field of urbanism, development and growth. He has major interests in urban systems, urban identity, urban change and regeneration, and application of integrated design in sustainable urbanism. Broad research interests in the fields of: Urban Growth; Urban Identity and Globalisation; Sustainable Urbanism; Place Making; Vernacular Architecture; Also interested in related studies of: Socio-spatial Cognitive Mapping; Mental Mapping Techniques; Public Realm Design; Temporary Urbanism; Urban Change and Regeneration; Cultural Studies for Architecture And have previously done: His research interests include Environmental impact assessment, urban policy studies, urban renewal studies, low-tech architecture, architectural renovation, and architectural Determinism. Prof. Vasudevan Subramanyan is the Principal Scientist of CSIR-Central Electrochemcial Research Institute, Karaikudi.He is a Fellow of Royal Society of Chemistry, UK (FRSC), Fellow of Australian Institute of High Energetic Materials (FAIHEM), Chartered Chemist (CChem) by Royal Society of Chemistry, UK, Fellow of National Environmental Science Academy (FNESA), Fellow of International Science Congress Association (FISCA), Fellow of International Congress of Chemistry and Environment (FICCE), Fellow of Society for Advancement of Electrochemical Science and Technology (FSAEST) and Fellow of The Academy of Sciences Chennai (FASC). His research interests include diverse areas of electrochemistry for the past 20 years. My research primarily focussed on the areas of chemical and electrochemical water treatment, electrochemical and photo-electrochemical generation of hydrogen, synthesis of electroinorganic chemicals, electrochemical waste management, electro-catalysis, magnesium batteries. 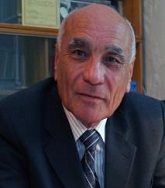 Abdussamatov Habibullo Ismailovich: born October 27, 1940 in Samarkand, Uzbek SSR, Soviet Union (now Uzbekistan). Education: Samarkand State University (1962), faculty of physics and mathematics; graduate courses in Leningrad State University (1965-1967), faculty of mathematics and mechanics; postgraduate course in Pulkovo Observatory (1966-1969). Works in Pulkovo Observatory since 1964: researcher trainee (1964-1966), postgraduate (1966-1969), junior researcher (1969-1982), senior researcher (1982-1999), leading researcher (1999-2004), head of the Space Research Sector (2004-2006), head of the Space Research laboratory (2006-2010). At the present time – head of the Space Research Sector of the Sun at Pulkovo Observatory (since 2010) and the head of the Lunar Optical Observatory project. He is an expert in the area of solar physics and of the solar-terrestrial physics as well as the climate. He is independent scientist on natural climate change issues. He is featured on page 140 of the 2009 U.S. Senate Report of More Than 700 Dissenting Scientists Over Man-Made Global Warming. The European Scientific-Industrial Chamber in 2013 presented him with a gold medal for exceptional achievements (No. 0188). He is the author of some180 scientific publications, including four scientific monographs, and seven scientific patents. Dr.T.S.Devaraja, Professor of Commerce and farmer Director of Post Graduate Centre, University of Mysore, Hassan, India. He received his Master of Commerce Post Graduate Degree and Ph.D., degree in Commerce from the University of Mysore. Devaraja is the Post Doctoral Fellow from the Corvinus University of Budapest, Hungary. He is DAAD Fellow by India and Germany international collaborative project - UGC- DAAD-PPP-2013. 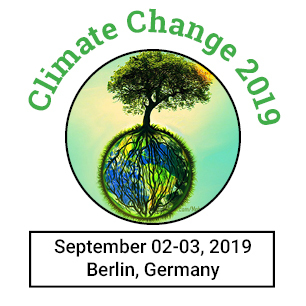 Dr. Devaraja worked with this collaborative project titled “An Economic Evaluation of Multi Commodity Exchange in Marketing of Carbon Credits in the framework of UNFCCC-Indian to Germany”, in collaboration with Faculty of Economics, Chair for Energy Trading and Financial Services, University of Duisburg, Essen, Germany. He is the lead collaborator for two international projects in the area of CDM and carbon credits marketing. Devaraja is a visiting research fellow, University of Presov, Faculty of Management, Presov, SLOVAKIA,(2009-2010). 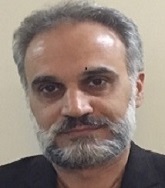 Professor Dr. Mohammad Hadi Dehghani (PhD) is a Full Professor at the Tehran University of Medical Sciences (TUMS), School of Public Health, Department of Environmental Health Engineering, Tehran, IRAN. His scientific research interests include the Environmental Science and Sustainable Development, Solid Waste and Disposal, Air Quality and Health, Water treatment, Drinking Water and Health, Air Pollution and Human Health, Environmental Toxicology and Human Risk Assessment. He is the author of various research studies published at national and international journals, conference proceedings and Head of several research project at the TUMS. He has authored 8 books and more than 150 full papers published in peer- reviewed journals. He is an editorial board member and reviewer in many internal and international journals and is member of several international science committees around the world. He has supervisor and advisor PhD and MSc theses at the TUMS. Dr.Srinivas Srimath holds a Doctorate and environmental professional with over 25 years of work experience in air, dust and odour consultancy. Previous experience in noise and water quality management. Ron Thring is currently working as a professor in Environmental Science and Environmental Engineering at University of Northern British Columbia, Canada. He is also Chairperson for Chemistry, Environmental Science & Environmental Engineering Programs at the same University. He completed his PhD in Chemical Engineering at University of Sherbrooke in 1990. He Completed his MSc in Chemical Engineeering at University of Saskatchewan in 1984. Associate Professor Daud Hassan joined the University of Western Sydney in 2009 with considerable teaching, research and community service experience. Daud taught at five different universities in Australia and Overseas, including University of Technology Sydney and Victoria University, Melbourne. Daud holds a PhD in the Law of the Sea. He has built up a formidable international reputation in the field of ocean governance. The international stature of Daud's work has been recognised by Visiting Professorships at various universities in Asia and Europe. His research work addresses global and regional environmental issues that are of international significance. . His research spans many countries and jurisdictions including Australia, Bangladesh, China, Finland, Hong Kong, Japan, Norway and Switzerland. Diego P. Ruiz completed his PhD in Physics from the University of Granada (Spain). He is currently Professor at the Faculty of Sciences of the University of Granada, where he is the director of the research lab of Physics and Environmental Acoustics. He held the PhD in Physics with honors from the University of Granada (Spain). Teaching experience. He has taught and supervised teaching undergraduate, master's and doctoral courses in Environmental Science, Chemistry, Physics, Biology, Mathematics, Telecommunications Engineering, Architecture, Civil Engineering and Computer Engineering degrees. Among the master course teaching, he coordinated subjects and teaching courses in the Masters of Environmental Engineering, Acoustic Engineering, Occupational Risk Prevention and Management and Integral Safety Building. Management experience: He is the coordinator of the Physics and Environmental Acoustics Research group at the University of Granada and departmental coordinator mobility programs. He is currently coordinator of the Master in Engineering Acoustics: Noise Pollution. It is worth noting the continued work in commissions for quality assurance and assessment for university bachelors and masters in national and international agencies, and the participation in research evaluation committees in national and international projects assessment agencies. Research experience: He has authored more than 140 articles in international journals (80 in JCR indexed journals) in Education, Engineering and Science topics and more than 150 publications in national and international conferences. He has been the advisor of 10 doctoral thesis with the higher marks, more than 78 or final degree / masters research projects sufficiency, and has been the main researcher of 6 research projects and member of 15 research projects. He is a member of the editorial board of scientific journals or societies such as IEEE, Elsevier, IET, and member of the scientific committee of several international and national congresses. In terms of transfer and innovation he is the director of 9 research/development contracts with companies or public institutions and collaborated in the creation of two technology-based companies at the University of Granada. Education: Mariaenrica Frigione received her Master degree in Chemical Engineering at University of Naples in 1989 (thesis published on Thermochimica Acta and presented to International Conferences) and her Ph.D. degree in Polymer Science and Technology at Loughborough University, U.K. in 1997 (results of the thesis published on European Polymer Journal (with more than 100 citations. Source: Scopus ), Journal of Applied Polymer Science, Advances in Polymer Technology and presented to International Conferences). Academic carrier: She worked as associate researcher at University of Salerno from 1990 to 1992. Then, she joined the Institute of Polymer Technology and Materials Engineering (IPTME) of Loughborough University, U.K., working as Research Assistant from 1992 to 1996. In 1997 she joined the Department of Materials Science of University of Lecce as Lecturer, in the field of Transport Phenomena in Chemical Engineering. From 2001 she is Associate Professor at University of Salento (former University of Lecce). 2014: Italian Academic Qualification of Full Professor. She has been the responsible (coordinator) of University of Salento for the following competitive projects: • Explorative Research Project financed by Apulia Regional funds (POR) “Nanocomposites hybrid adhesives with superior durability employed in restoration applications of Leccese stone” (2006-08). • Strategic Research Project financed by Apulia Regional funds (POR) “Protection, consolidation and cleaning of stones characteristic of Apulia region: experimental analysis of environmental friendly products and monitoring of the treatments” (2009-13). • Mobility Project “INTER-ASIA” financed by Apulia Regional funds in the framework of Transnational Actions (2017-18). Baghdad OUDDANE has obtained a PhD in Environmental Chemistry in 1990 and a HDR (Higher Degree by Research) in 1997 at Lille 1 University. Lecturer (1992-2003) and Full Professor at Lille University since 2003. He is the Head of the Master "Water Treatment" in Lille1 University. 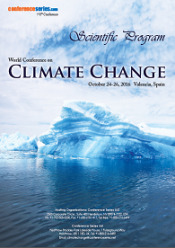 He has published more than 110 papers in reputed Environmental Journals and more than 120 communications in national and international conferences and co-authors of four books (two popular sciences); he is a referee in several international journals in the field of environment. Pedro Vega-Marcote is a full Professor in the Faculty of Educational Sciences at the University of Coruña. Currently his research interests focus on the field of: Teacher training in Environmental Education and Sustainable Development, the Ecological Footprint and reduction of emissions of Greenhouse Gases, the implementation of Agenda 21 at the University and Municipalities (A21L) and in Experimental Science Teaching. Meltem SARIOGLU CEBECİ has completed her PhD at the age of 28 years from Leeds University Faculty of Engineering Department of. Public Health Eng., England. She is the director of Environmental Engineering Department in Cumhuriyet Unıversity Sivas-TURKEY. She has published more than 20 papers in international journals and has been working as a lecturer at Cumhuriyet University. Emine MALKOC was born in Trabzon, Turkey. Between the years 1995-2010, she worked an expert in Environmental Problems Research Center, Ataturk University. She is a Professor in the Department of Environmental Engineering at the Ataturk University where he has been a faculty member since 2010. Malkoc completed her master and Ph.D. studies at Ataturk University. Her research interests lie in the area of wastewater treatment, adsorption method in removing heavy metals and dyestuffs, advanced oxidation methods in removing in textile wastewater. In related topics, she has published more than 18 papers in reputed journals and has been serving as scientific referee of a lot repute journals. Moreover, the Malkoc's scientific works has taken more than 1500 cited. Prof. Tapas Kumar Mallick received his M.Tech and PhD in solar energy engineering from Jadavpur University, India (1998) and University of Ulster, UK (2003) respectively. He has over seventeen years of research experience in solar energy technologies. He is currently the Chair in Clean Technologies (Renewables) within the Environment and Sustainability Institute (ESI) and Academic Lead, Renewable Energy, University of Exeter, UK. He has published over 150 research articles and holds two patents on solar technology and has been serving Editorial board of Advances of Solar Thermal Technology Journal. Recently his group has demonstrated biomimicry of white periodic butterfly wings into concentrating solar photovoltaics. Prof. Mallick successfully supervised six PhD candidates to completion and currently primary supervisor of fourteen PhD students. 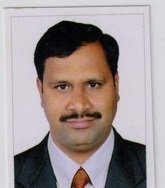 Dr. S. Jithender Kumar Naik, is currently working as Professor of Zoology at Osmania University, Hyderabad, India. He did his Master Degree in Zoology from Osmania University in 1992, M. Phil in Animal Sciences from University of Hyderabad in 1994 and awarded Ph.D in Zoology from Osmania University in 2000. He has 20 years of research and 17 years of teaching experience in the fields of Toxicology and Occupational health; Reproductive Biology; Environmental Biology; Fisheries and Limnology. : Dr Rao Ph.D worked as Professor of Micro biology, Parasitology, immunology and Epidemiology in many Universities in India, China, Nepal, Libya, and Philippines. Currently he is working at Avalon University School of Medicine, Curacao, Netherlands Antilles. He has more than 40 years of teaching and research experience.